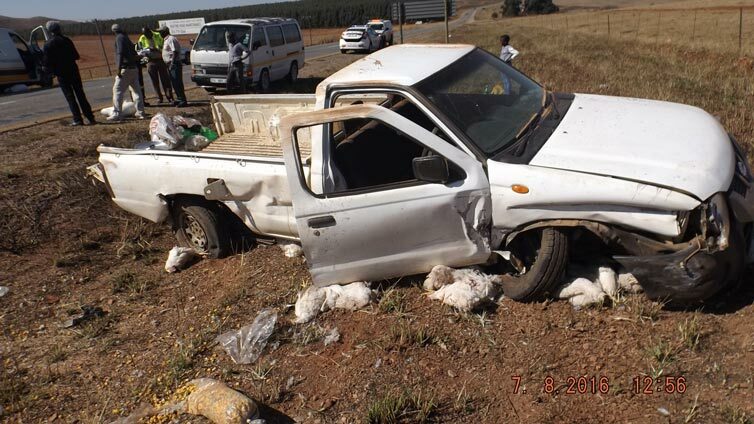 The bakkie then collided head on with an oncoming Toyota Camry and then also collided with a passing Audi. The roads were yet again busy the last two weeks, with most people having Monday and Tuesday off, due to National Women’s Day on Tuesday. 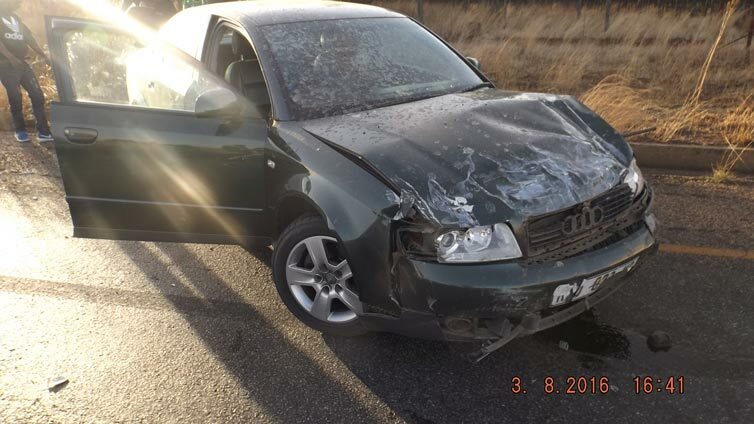 On Wednesday, 3 August, the driver of a bakkie was heading towards eMkhondo on the Wakkerstroom road, when the driver apparently drove into the opposite lane whilst trying to dodge something. 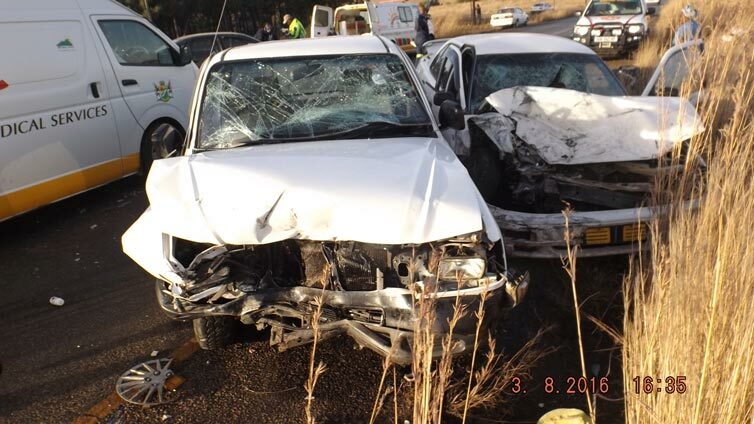 The bakkie then collided head on with an oncoming Toyota Camry and then also collided with a passing Audi. 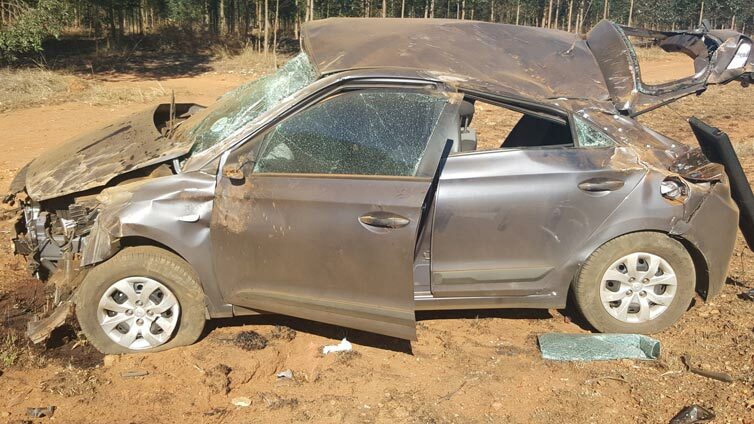 On Friday, 5 August, the driver of a Hyundai was heading towards Paulpietersburg, when he lost control of the vehicle after a tyre apparently burst. The car swerved off the road and ended up rolling after hitting a ditch on the side of the road. On Sunday, 7 August, the driver of a Ford was heading towards eMkhondo on the Pongola road, when one of the vehicle’s tyres also apparently burst, causing the driver to lose control and then the vehicle collided with an oncoming bakkie. 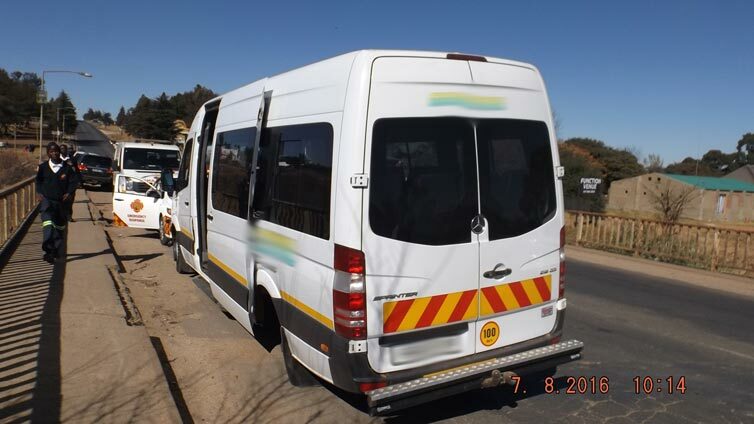 On the same day, the driver of a minibus was passing over the bridge near Grotto, when a wheel came off. The wheel then hit a passing pedestrian, who unfortunately passed away due to the incident.